Stories of people raised inside insular religious groups. In this hour: escapes from an apocalyptic 'cult,' a New Age sect and the most hated church in America. When a preacher says the world is going to end next week ... and it doesn’t ... there’s only one way to keep people believing: tell them a good story. And that’s what Glynn Washington, public radio’s master storyteller, learned from the Worldwide Church of God, an insular religious group where he spent his formative years. He now calls it a “cult.” Today, Washington's show airs on more than 300 stations around the country. He spoke to us in 2015. The World Wide Church of God changed its name in 2009 and says it now embraces a more traditional form of Christianity. Glynn Washington, Creator and Host of Snap Judgment. Glynn is also the host of the new podcast about the titular cult, Heaven's Gate, where he delves deeper into his own upbringing. On March 15, 1990, nearly 800 members of the Church Universal and Triumphant braced themselves for the end of the world by nuclear holocaust. They had spent three years and $20 million creating a huge, underground fallout shelter in Montana. And then midnight struck ... and nothing happened. In 2008, Maureen sat down with Erin Prophet, the daughter of the group's clairvoyant leader, Elizabeth Clare Prophet. Elizabeth Clare Prophet, known as "Guru Ma" to her many followers and simply "mom" to Erin, died in 2009 after a long battled with Alzheimer's. Today, Erin remembers her mother as a "religious genius." She is now in the final stages of a doctorate in gnosticism, esotericism and mysticism at Rice University. We spoke again in 2016. 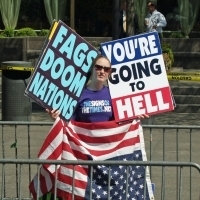 The Westboro Baptist Church calls itself a “unique picketing ministry,” and that’s certainly one way to think about it. The 40 or so members take hate speech to a shocking new level, protesting the funerals of soldiers and children, holding signs that say things like “Pray for More Dead Soldiers” and “God Hates America.” So, who are these people? In 2013, Maureen spoke to one of them, Lauren Drain, who had been a member of the church for seven years. 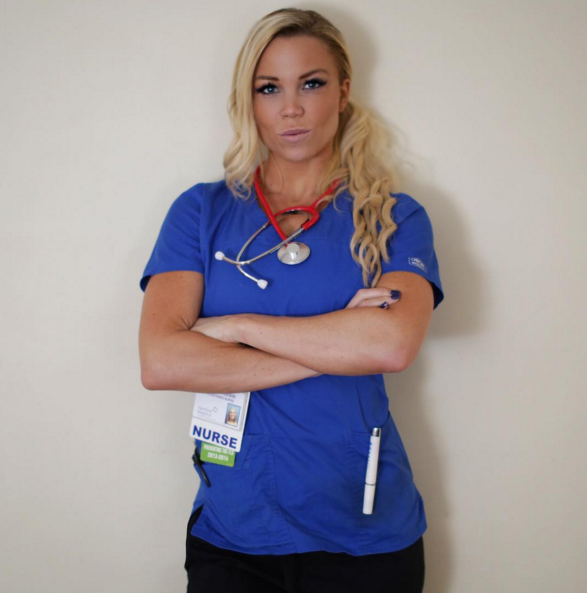 Today, Drain is a cardiac nurse and a popular fitness model, with nearly 3 million followers on Instagram.